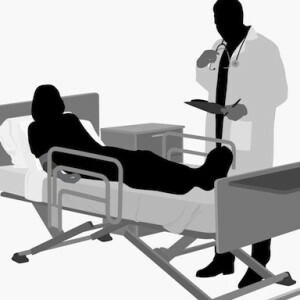 [Blind Gossip] We told you last week about a celebrity who lied about why she was in a hospital. Now we have another liar for you! This one is a very famous actor, whose filming on a major franchise was halted when he suffered a serious injury. However, the injury didn’t happen the way it was reported! The truth is that he was not in a moving vehicle at all. He was actually in his mate’s house, he was totally drunk, and he hit something in a fit of anger. Of course, his reps do not want you to know that in real life he is an angry, out-of-control, self-injuring alcoholic. So they fabricated a story that made the accident seem completely innocent and playful. Did the film’s insurers buy the phony story? Did you buy it? Aye, you did, didn’t you? Remember when Johnny Depp “broke his hand” in March 2015? His reps said that he injured it in an outdoor “go-kart accident” in Australia while filming Pirates of the Caribbean: Dead Men Tell No Tales. Right after it happened, Blind Gossip told you that the “go-kart accident”/”broken hand” story was a lie. We told you that he actually injured himself in a house, and it happened because he was drunk and hit something in a fit of anger. Well, we were right… and we have all the gory details of what really happened! It is now being revealed that Johnny Depp accidentally sliced off a significant part of his finger when he hit something inside a house in a fit of rage. He did this while angry at Amber Heard. It is unclear if Heard was in the house with Depp at the time of the incident. Heard had been filming a movie with Billy Bob Thornton, Angelina Jolie’s ex-husband. Depp’s fit of anger supposedly stemmed from his belief that Heard had cheated on him with Thornton. While drunk and angry, Depp proceeded to smash bottles and windows inside of the rented home. He accidentally sliced off part of his finger. Depp then took the sliced finger, dipped it in paint, and wrote his accusations against Heard on the wall in a combination of blood and paint. Ewww. Surgeons used another part of Depp’s hand to reconstruct the part he had sliced off. That’s why Depp’s entire hand was bandaged after the accident. 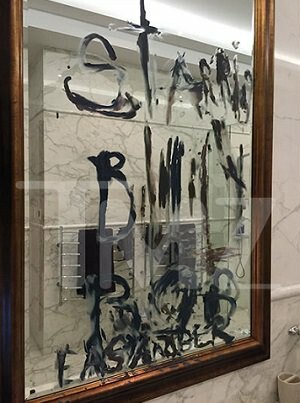 Johnny Depp accidentally cut off his fingertip in a fit of rage … then dipped the stump in dark blue paint and wrote on the wall in paint and blood the name “Billy Bob” — the actor with whom Johnny accused Amber Heard of cheating — this according to Amber and her people. We’re told the incident went down in March of last year, just a month after Amber and Johnny married. They were in a villa in Australia when a fierce argument erupted. According to Amber’s version of events Johnny, who was drunk and high on ecstasy, smashed several bottles and windows and also slammed a plastic phone against the wall unit. She claims a piece of one of the items cut off a portion of his forefinger. Amber had done a movie with Billy Bob Thornton and she claims Johnny accused the 2 of sleeping together — something she strongly denied, adding he accused her of infidelity with other men as well. Amber’s people say Johnny didn’t get medical help for nearly 24 hours, so doctors could not reattach the fingertip … they used a flap from his hand to sew on a new tip. Johnny Depp and his team want you to think of him as a kind, quirky actor. They do not want you to know that in real life he is an angry, out-of-control, self-injuring, black-out drunk. So they fabricated the “go-kart accident”/”broken hand” lie to make the injury seem completely innocent and playful. Depp’s team also lied because alcoholic, violent movie stars who injure themselves and others can’t get insurance, which is a critical component in film financing and production. Congratulations to Katerboo24 for being first with the correct answer! Did you catch the clues? Australia clue: mates. Pirating clue: aye. Put Australia and pirate together… and you should have come up with Johnny Depp! Amber Heard has just released some more details about the night that Johnny Depp cut off the tip of his finger in what he originally claimed was a “go-kart” accident in Australia. Blind Gossip was the FIRST to tell you that his story was a lie. We knew that Depp had hurt his finger/hand inside the house while fighting with Amber Heard, but it has taken a four years to find out exactly what happened that night. It turns out that the accident occurred during a wild, sleepless, three-day, alcohol and drug-fueled bender during which Depp continuously raged at Heard and assaulted her, injuring himself in the process. Johnny ignored me, continuing to hit me with the back of one closed hand, and slamming a hard plastic phone against a wall with his other until it was smashed into smithereens. While he was smashing the phone, Johnny severely injured his finger, cutting off the tip of it. . . . Once I was able to get away, I barricaded myself in an upstairs bedroom. This story is part of the ongoing legal battle between Depp and Heard. Amber Heard detailed this event as part of her Virginia court filing in response to Depp’s $50 million defamation lawsuit against her. The National Domestic Violence Hotline helps victims and survivors of domestic violence. Call 1-800-799-7233 or chat with an advocate on their website thehotline.org .